Sometimes a movie has to be watched a second time to really be appreciated. 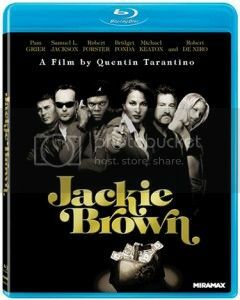 For me, Jackie Brown was such a movie. 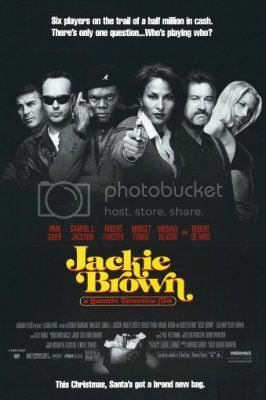 Maybe it's because my expectations were significantly different from what the movie turned out to be, but the first time I watched Jackie Brown back in the late 90's I was underwhelmed. Sure, I thought it was a decent, well written movie, but it seemed a bit slow and didn't have a whole lot going on. 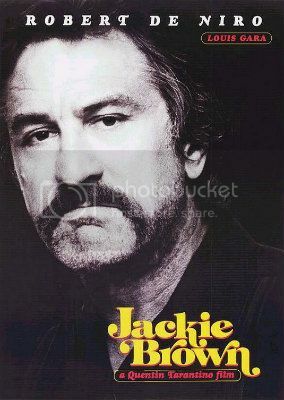 Years later I can watch the movie and really, "Get," what writer/director Quentin Tarantino was going for. What Tarantino did was to create a Film Noir/Blaxploitation hybrid that finds the perfect medium between the two. This is a movie that shines in it's character development. 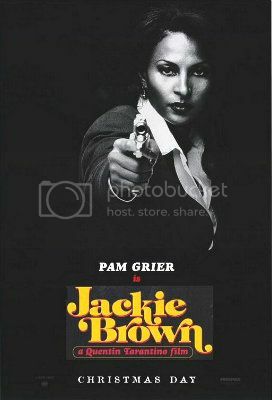 Well, it shines in the development of Pam Grier's Jackie Brown character, as well as Robert Forster's Max Cherry. Samuel L. Jackson also gets to chew some scenery as the villain of the piece (and he makes the most of what he has to work with here - which is plenty). But the two key characters are Jackie and Max. 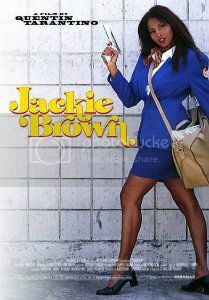 Jackie is a 44 year old flight attendant who acts as a money courier for Jackson's illegal gun dealer. Max is a 56 year old bail bondsman who has grown tired of his job. They meet when Jackson hired Max to bail Jackie out of jail, and from there the two become friends. They respect and admire each other, but more than anything else it is clear that they like each other. A lot. 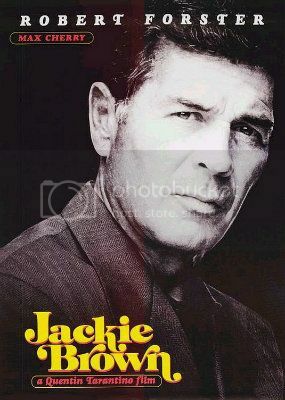 But before they can develop any kind of relationship there is the issue of the drug and money smuggling charges against Jackie, and her precarious situation with Jackson. From there it evolves into a detective/caper story, one where some key details are played close to the vest by Tarantino. He hints at some things, but doesn't reveal the full details until events finally unfold. The script is masterfully written, and the direction is excellent. Tarantino receives criticism for his overuse of profanity and racial epithets that are generally frowned upon, and with good reason, but beyond that the script really is fantastic. Jackie Brown is a wonderful movie - if you can consider a movie with that kind of language and a few murders to be wonderful. The development of the main characters really is something special in a Hollywood movie. But, then again, Tarantino isn't exactly part of the Hollywood establishment. Another detail that has to be mentioned is the editing. There are many shots that in the hands of another editor would have been cut in half (at least). Editor Sally Menke does a phenomenal job of letting the movie breathe. Shots are allowed to last to set the mood or to create a relaxed, deliberate pace. And the back and forth between shots is done with style and flair. Outstanding. 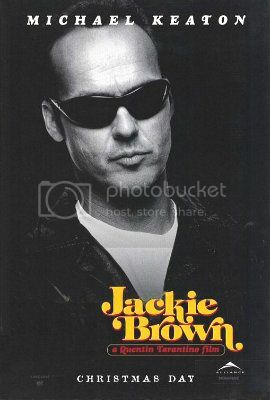 Ultimately, both Pam Grier and Robert Forster got career boosts from Jackie Brown, as did Tarantino (although he was already the hot new guy in town. They all deserved it. 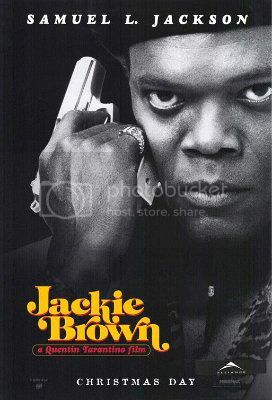 Jacke Brown is a great movie. Great cast, great script, great editing, and great direction - it may not be flawless, but it is darned close. And the blu ray looks absolutely amazing. Detail is amazingly sharp and crisp without being harsh, and the colors are very lifelike and natural. The blu ray looks as good as the movie itself. This one is well worth buying. Well worth it.